Whether you are starting off with photography as a hobby or aspire of becoming a professional photographer, learning how to take great photos is a worthwhile venture. 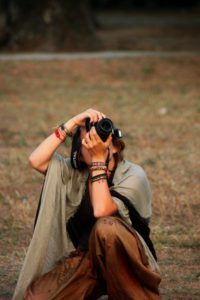 But, photography is an expensive hobby, and one with a vast amount of information to discover—which leaves the question, how to get started in photography? Like any creative venture, there’s no single “right” way to get into photography. 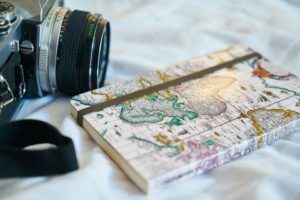 But there are several things you can do to get off to a great start, instead of getting frustrated and winding up with a nice camera that serves as a paperweight. Here are a few tips to get you started. 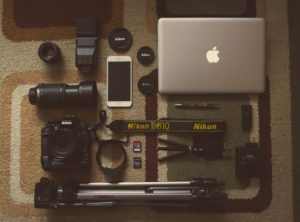 If you have decided to venture into photography, you most likely already have the interest, be it into the equipment, the technique, the business -, the people – or the processing aspect. Now you must also find your your inspiration. Photography is a hobby that interlinks well with other hobbies, like travel, sports and gardening. Start by evaluating what you already like to do and start photographing these activities. Then, browse through some old photos – which ones are you most drawn to? Photos of people or objects or places or animals? Posed photos, or candids? By identifying what inspires you, or what you already enjoy doing, you can better determine where to start learning photography. Photography is a very rewarding hobby, but it is a lot of hard work. Just like any art, it must be learned, and practiced – a lot. It is a trial and error process; we all start at the bottom and build our way up. The best way to get started is by gathering information and improving your knowledge. 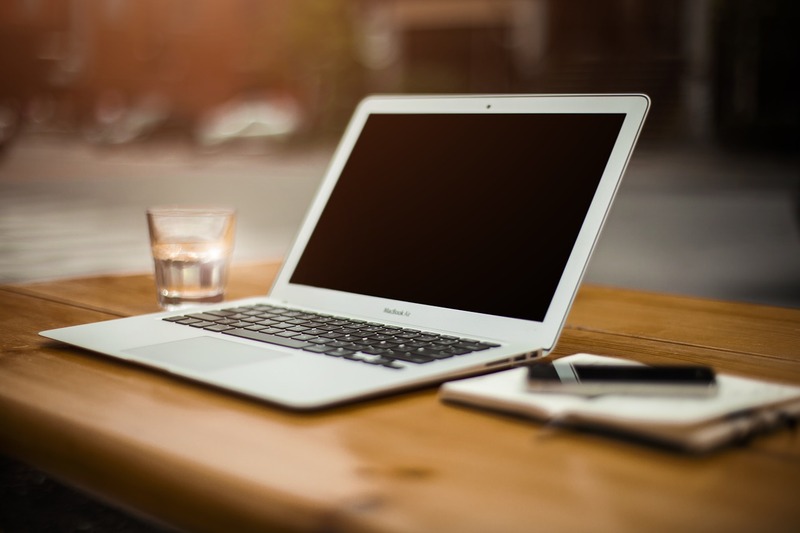 These days there are so many free information resources on the internet, you only need to take advantage of it. You have access to online articles, magazines, and YouTube tutorials. Absorb as much information you can to steer you in the right direction, whatever that is for YOU! When you’re shopping for your first camera, it’s very easy to get discouraged by not only the huge array of options, but also the price. It can be easy to think that buying a better camera or lens will automatically improve your work and spending a huge amount of money can be the single most off-putting thing for a beginner. Well, the good news is that you don’t have to spend thousands to get started. The principles of photography remain the same so you can start your journey on anything that captures images. If you want to use an industry-grade camera regularly, but don’t want to buy one yourself, there’s always the options of renting or buying second-hand until you can afford to spend the money yourself. Camera gear should not be the decision-making factor whether to start with photography. There are countless cameras, lenses, and other accessories on the market today and pretty much everything today is excellent. The differences are almost always minor, especially at a given price. So, use the camera you already have, and don’t look back. In almost every way, today’s entry-level DSLRs are better than the top-of-the-line film SLRs ever were. And yet those film photographers managed to capture beautiful, iconic photos that still look great today. Much more important are your creative skills and knowledge of camera settings. Focus your effort on those, not on collecting camera equipment. You never know which photo opportunity will present itself during your day. Imagine you have the perfect opportunity and you don’t have your camera with you! That image might forever haunt you. Inspiration comes in all shapes and sizes and at any time – always be ready! One way to improve your shooting is to understand the tools at your disposal. If you don’t have to think about which buttons to push or which dials to adjust, you are free to be creative. 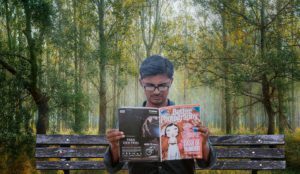 Spending some quality reading time with the camera’s manual or watching YouTube videos is one way to get acquainted. An even better way is to use it every day and dig deeper and deeper into the settings. Depending on what camera you are using, you will have options to use the camera’s built-in settings or shoot in manual mode. Venturing outside of automatic exposure mode is the single largest step you’ll take to transition from camera button pusher to artist. To do this, you need to understand the three most important settings on your camera, i.e. 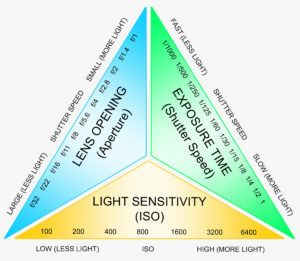 shutter speed, aperture, and ISO. Together, all three of them control the brightness and sharpness of your photo, although they do so in different ways. If you are new to photography, remember, the best way to keep improving is to practice often, make mistakes and learn from them. If we put all the complicated stuff to one side, photography is after all about producing photographs that we as photographers like, and more importantly that other people like.